Velvet borders ensure coloring success! 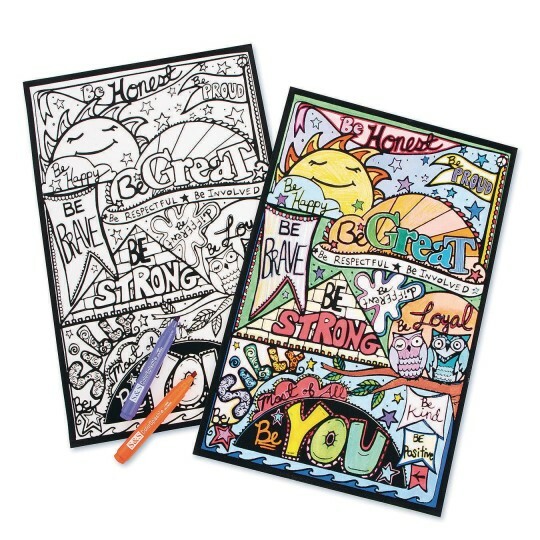 Inspirational designs give character-building activities a fun fuzzy feel! Velvet borders ensure coloring success. Each cardstock poster measures 11" x 17". Decorating materials sold separately. PS. This is a Crafty Kate original!